Nicole from Sketch42 here... I am super excited to be blogging for Rebecca while she is away! Its amazing how we have never even met and yet we are great friends! So, right now I am working on creating my dream bed: A little un-done, not too many pillows and very cozy.... First attempt: failure. 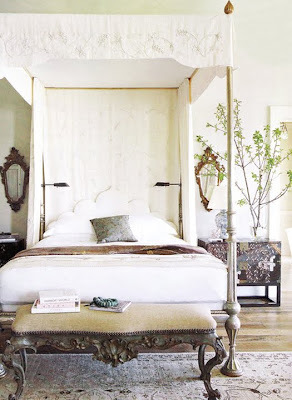 The bedding I ordered turned out to be a bust... so I decided to give you some bedrooms I would move into anytime! 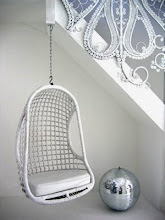 The perfect recipe: Simplicity + White + Coziness= Real life livable glamour that makes you want to jump in !!! All I have to say is thank god its Friday cause I sure could use a nap! Oh hi there Nicole. I have to say my fav is the first, very calming and gorgeous.